Denise Brown-Puryear and Deborah Young are co-founders of the Crown Heights North Association, and leaders in Brooklyn historic preservation. 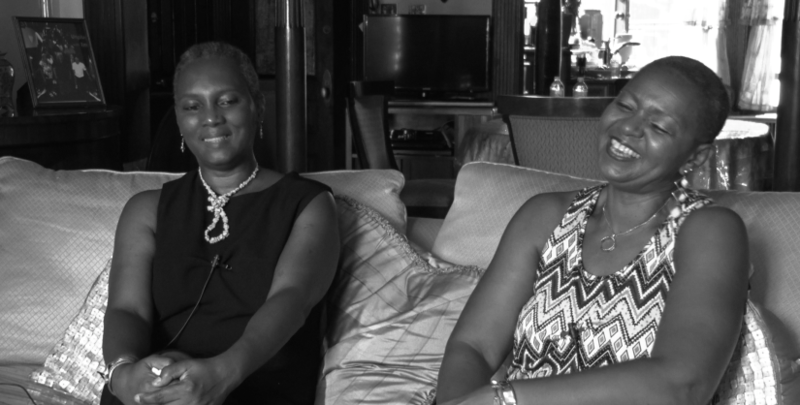 Denise Brown-Puryear and Deborah Young came together to cofound the Crown Heights North Association to preserve the historic buildings in their community. They both speak about their upbringing and how they came to have a passion in preservation. They founded the Crown Heights North Association in 2001 and began working to landmark several buildings in their community. They regard historic preservation as simply one piece in community development and making their neighborhood something everyone can take pride in. Their work and conversation spans the logistics of working with the City, winning over their neighbors, and the importance of volunteers and community engagement. Q: So I’ll just say that today is Monday, August 17, 2015. My name is Liz Strong. This is an oral recording for the New York Preservation Archive Project, Diversity and the Outer Boroughs. We are here today with Denise Brown-Puryear. Is that how you pronounce your last name? Q: Perfect. Are you guys ready to begin? Q: All right. So I’ll just ask each of you in turn to tell me when and where you were born and a little bit about your childhood. So who wants to go first? Young: Okay, I’ll start. Okay. As I said, my name is Deborah Young and I was born in Brooklyn quite a few years ago. [Laughs] And I lived in Bedford-Stuyvesant. I grew up in the housing projects. I attended Catholic Elementary School and I went to Clara Barton High School. I was educated in New York. I started at Manhattan Community College and then I transferred in to Medgar Evers College when it first opened. I was one of their advanced standing students. I graduated from there and went and got my Masters at Columbia University School of Social Work. I did a joint degree program in the School of Social Work and the School of Business. I have been living, as I said, in Brooklyn all of my life, minus about five years. I moved up to Albany, New York. I worked for the State. After a number of years of requesting that I consider coming up to run one of their juvenile facilities, I did. I was living in Albany, New York, working in Johnstown. I stayed there about five years and then I came back to New York. I think it was in 1999. I changed State agencies. I was working for Office of Children and Family Services, and then I changed over to Office of Mental Health. And then I married and my husband and I started looking for a home. My husband’s name was Anthony Martin and he is now deceased. We purchased our home I think and moved in in July of 2001. That is when I met my neighbor, Denise. Q: So, Denise, tell me when were you born and a little bit about your childhood and how you came to be here. Brown-Puryear: I was born in Brooklyn, New York. First initially born in Kings County Hospital. Lived on Dekalb Avenue as a child, and by the age of five we moved to Dean Street and Franklin Avenue. We lived there—it were three families in one apartment, my grandparents, my mother and father and my aunt and my uncle along with my cousins. We moved from there in 1966 to Sterling Place on New York Avenue. I went to Public School 138 and I also went to Junior High School 61, Lefferts Junior High School, which is located on Empire Boulevard and New York Avenue. In 1976 when the city was the largest owners and landlords of city owned property, my parents went to a city auction to purchase the building, which we were living in, which was a eight family limestone and brick building built in 1904. They went and they did win that bid and was able to buy the building for $21,000 at that time, but everything is relative [laughs] because there was rent control and people were paying like $50 a month rent for, like, enormous apartments. We continued to living there and I got married in 1976. It seemed like everything happened in ten-year cycles. [Laughs] I got married in 1976 and moved to Flatbush, and that didn’t last too long. I came back in 1980, back to Sterling Place. And then in 1982, unfortunately my mother suddenly passed away. It was then that I sort of stepped right into her shoes taking over and owning and managing the small apartment building, and eventually getting involved in my block association at the time. I mean that was throughout the ‘80s. Brown-Puryear: So finally, in 2001, I bought 988 Sterling Place, which is right next door to Debbie, and that’s how I met Debbie. She was new to the neighborhood, and we used to sit out on the stoop, which is a Brooklyn thing [laughing], a brownstone Brooklyn thing and we would, you know, have our glass of wine, sit and chat. That’s when the conversation came about about this area being—at one time was surveyed but nothing ever happened, because I had the age-old report from 1978 [laughs]. And so that’s how it pretty much all began by us just coming together and sitting and talking. Q: Before we do get to that moment, which I do want to talk about, I’d love to hear from each of you some of your early interest in history and historic preservation. How did that come to be a focus for you? Young: —to work on this, because she really just pulled me inside. Brown-Puryear: I did. I did. Young: She had this idea. You know, she knew what to do. She just needed help doing it. Given her passion, her experience in the community, and my training and education, it just was a package. Brown-Puryear: Yeah, we were the perfect match. Young: It just was a really nice package to get us started. Young: So that’s how it really began for me. Young: Right. Yes. Thank you [laughter]. Brown-Puryear: The ball is back in my court. Young: She’s got it. Right. Right [laughing]. Brown-Puryear: Well, Debbie is right, I did drag her kicking—no, she wasn’t kicking and screaming she was intrigued. I always had a passion for my neighborhood. Even now, you know, as I think about it I’m getting filled up, because it’s been a while, and I love this neighborhood. I always, always saw the beauty in each and every house. As a kid, just walking to Brower Park, playing in the park, just looking at what were once mansions on Saint Marks Avenue. Just looking at the—the houses always looked like stately soldiers to me as a child, that just had its own story. Each one had its own individual unique story waiting to be told. And so I was a history buff. I would just go down to the Grand Army Plaza Library—this is before internet—and I would just spend time just looking at the old Brooklyn Eagle newspapers, because I had a thing, I wanted to know who was here before me. I knew the neighborhood had transitioned and it was basically Jewish and Irish and Italian and then as neighborhoods began to transition, and Caribbean and African Americans began to move further in, other people began to move further out. It was like there is an economic stepping ladder that people go through, especially with immigrant populations. My grandparents emigrating here from the Caribbean. And so I always was fascinated about, well, where did everyone come from, who was here before me. So I started researching and then I discovered that this was Dutch farmland, that it was Breuckelen, spelled the Dutch way, that part of the Civil War did take place here at Grant’s Tomb, you know, around Atlantic Avenue, and that was known as the Four Corners. So all this stuff it was like a story unfolding before my eyes, and this was when I was maybe in my teens into my twenties. I also was a volunteer with the New York City Landmarks Preservation Committee in the mid-‘70s. I was the amateur photographer. And so I signed up as a volunteer to work on their photographic survey for Park Slope. I also, at that time—I think I was about 19, 18, 19—I also at that time knew about the Cinderella Project. So I would go to these meetings there and they were talking about the Renaissance and Brooklyn brownstones and everything. I just had an enthusiasm. I don’t know where it came from. I guess just growing up in brownstone Brooklyn and just, you know, appreciating and just seeing it. Sometimes there are those of us that were given a vision of something that we don’t quite fully understand but you have enough faith to just go forward with it and I just had a passion about the houses and the neighborhood, the history, just how communities changed. And maybe some of that influence might have come from my years of working on Wall Street. At one time, I wanted to become an economist but then I wanted to become an Urban Planner because I was interested in the migration of people, people immigrating, populations coming and going like here in New York, which is a dynamic city and you have people coming and going all the time throughout history. Looking at all of that is what fueled my passion and I knew in my heart of hearts that in Crown Heights there was a treasure trove of jewels. Q: That’s going to give me so many follow-up questions. Q: Okay. So one question that has come to mind is your own family’s chapter in this. You are talking about the moving of people and how—I think you said off record that like every ten, twenty years there’s this big shift. Q: So since you come from a family that immigrated from Trinidad, and were part of this next wave that came after the people you were reading about, tell me about your own family and their own relationship with their history and what you remember. Brown-Puryear: Well, I know that my grandmother, who we call Momma [laughs], she grew up in the hill country of Trinidad. There was twelve of them. They’re from very large families. Had no running water, no electricity, but they survived and did well. And one of the things I recognized is that her coming here—because I did some research and I did come across the ship manifest that has her name and my grandfather’s name when they immigrated over. I cried when I came across that. And I wasn’t thinking, I should have brought it with me. But that just hit home that really this country is a country of immigrants. Everyone somewhere down their family line came from someplace else. That’s what makes this country so great, and that’s what made this neighborhood so great, because even though it changed over, it’s just part of how things happen when people immigrate and they work their way up the food chain line. My grandparents when they did come here—my grandmother came as a little girl in the early 1900s and then my grandfather, but her uncle sent for her. And my uncle was—he was my grand uncle—he was the founder of the church that I attended, Trinity C.M.E. Methodist Church, which started out in a house on Pacific Street. And so that church is still here. Not on Pacific Street, but is now Eastern Parkway between Utica and I think that’s Rochester, Utica and Buffalo. So that was my family church founded by my great uncle, the one who sent for my grandmother. And then subsequently, my grandmother when she had her house on New York Avenue there was always somebody in the back room that they would send for and they would come up and they would stay until they could get their footing and get a job. Then they would end up buying a house, because the whole thing with them was own some property [laughs]. And so they would end up moving out once they got a job and got established. They may rent for a short while but eventually they ended up buying. My grandmother was a cook for Jewish families over in the Kings Highway area, and my grandfather was a gardener. So that was their profession. Q: I want to ask you the same question, because you’re also from Brooklyn and Bed-Stuy, tell me about your relationship with your family’s history. Young: Well, I also come from a large family, on my mother’s side in particular. My mother is one of fifteen children. My grandparents are from Rice, Virginia. They came to New York and had all fifteen of their children right here in New York. I did not grow up going south. I think my first experience going south was when I was thirteen years old and I can remember so vividly being lost on the train tracks and crying because I thought we were never going to get home [laughter]. I was the fourth oldest grandchild of my grandparents. As I said, we grew up in the housing projects. My grandparents lived in the housing projects, eventually. I think my mother grew up in Harlem and everybody just came to New York and stayed in New York until they were grown and married. Now I have uncles and aunts that have gone other places, but pretty much my family are New Yorkers. On my father’s side, a little smaller, my father is one of three children. My grandmother was from Charleston. But she came to New York before I was even born and we never visited Charleston until I was an adult. I mean I think my first visit was about four years ago and it felt like I belonged there. I mean I can’t describe it. I know it was very emotional to be there, and it just felt like I have to learn more. That is one of my passions. I mean I’m a little envious of Denise with all of the history, because I’ve said that one of the things I want to take on after we finish maybe phase four here is to begin working on my own family history, because there are those roots, but no one has ever explored it. So that’s something that I do want to do. But my family is very close. My father passed I think in ‘95. That’s when I relocated and went up to Albany because I didn’t want to leave my mom here, you know, with my dad who was a little sick. So when he passed I felt okay to move to New York. But I have a sister and I have one brother. I have a couple of family members that were homeowners, but primarily we weren’t. And I remember when my husband and I were looking for a house we almost got a divorce because he was looking at other places and nothing, nothing, nothing—just I didn’t feel it when I walked in there. And I remember when we came into this house and I got it. It was like this is it. And I remember standing on the stairs with him saying, “This is it!” And he says, “Well, I don’t move that fast.” And I said, “Well, you better move fast on this one because this is it.” And, you know, I believe that what’s for you, you’ll have. I don’t take that to mean that you just wait for it to full in your lap. And that’s it, that’s how we started. I grew up going in a couple of brownstones and remembering how beautiful they were but didn’t really get the essence of it until I was older and then again meeting Denise. One of the things Denise and I used to do was anytime there was an open house or anything we would go, “Let’s go, there’s one over here, there’s one over there,” and we would go to all the open houses [laughs] that we knew about and just walk through them and marvel about the beauty. I got a better understanding about the jewels in this community, because it is awesome. Q: [Laughs] The other question I really had to ask, you painted such a wonderful moment about going into the library and reading through those old—what are they called, The Eagle? Brown-Puryear: Yeah, it was the Brooklyn Eagle Newspaper, which was founded in the 1800s. Q: —and that kind of history. Q: So how did that strike you, and how did you respond to that? Brown-Puryear: Well, it struck me—I wasn’t surprised. So what I did was I tried to glean from looking through all those publications, and microfilm, and stuff like that, like Weeksville, which is a historic area. So there was a little mention of, like, a crime in Weeksville, or Crow Hill, which on one side there was a prison. They’ll mention a crime and it will be a person of color. But I would read to get more information, not so much about the crime, but the location. Then I started going down to I believe the Buildings Department and looking at the old street maps, because the streets had different names and the neighborhoods were known as wards, and they were given ward numbers. Off the top of my head I can’t remember what ward number this would be, but once I saw how each area was a ward—like this might have been Ward No. 73, so then I would then go back and do a search for news items from Ward 73, and then I would find more stuff. Then one time I went and I looked up my house address to see who lived before me and what happened, and I found information there. There was somebone, I think, of note that lived on this block also, but I can’t recall off the top of my head right now. But it was interesting that in looking at all of that no, there weren’t any depictions of African American homeowners in the early, early years of the Brooklyn Eagle. It wasn’t until maybe in the ‘70s I saw maybe a picture of someone taken in their parlor. I think it was an African American couple, they had afros, which was indicative of the ‘70s, and they lived—I think they had their house on Saint Marks. It was here in Crown Heights. But other than that, no, you know, and it wasn’t surprising. So that even fueled my desire even more to say, okay, I know—because I was part of that transitory period in the ‘60s, and then talking to my grandmother and finding out they bought their house in the ‘60s. The other thing the area was redlined, so people of color we could not get any mortgages back then. In the ‘60s, what happened is that a lot of mortgages were held by the owners who were then selling their houses. If you look back in the records, you will see that there weren’t any bank notes. The mortgages were actually held by the owners. My grandmother, I think they bought their house from a Jewish family, and he held the mortgage. They came with the down payment and he held the mortgage and they paid it off. After a while, their house was paid for cash and everything and they owned it. My grandmother baked and sold baked goods. Like I said, she was a cook and so she cooked a lot for our church. But they made a way. So there were no such things as obstacles and I grew up being taught that you can do anything that you set your mind to and believe that you can do it. So I grew up with that instilled in me just not only being told but seeing it in action. So, you know, looking back at the newspaper and all that, and not seeing us, it wasn’t surprising. I didn’t feel any negative way, but I also knew that I needed to research further because I knew that we do have a presence and always had a presence here in New York City, whether it was Harlem but also in Brooklyn. And so I began to do further research on the [coughs], excuse me, great northern migration from the South during the industrial period that took place, where a lot of African Americans left the South in droves and went to the major cities like Chicago, New York, and different parts, and began to make a life for themselves. Like Bed-Stuy had a lot of people from the South that bought the houses there, and this area had more of a mixture of Caribbean people and Southern as well. Q: The two areas you mentioned, Weeksville and Crow Hill, they both have pretty active historic preservation campaigns now I think. Q: So I’m thinking about at that time, I’m thinking about the ‘60s and ‘70s, do these areas have historic preservation groups, or when did that start, if you know? Young: You know, I’m more familiar with Crow Hill because I think that as we organized ourselves—and I’m not recalling the lady’s name. I know you were in touch with her, who now lives over here on Sterling, that was part of the Crow Hill Group Association. Brown-Puryear: Yeah. I can’t recall her name. Young: Sarah? Is it—not Sarah. But, anyway, they had started. But I think there has been some shifts in their leadership and as a matter of fact about a month-and-a-half ago myself and the Vice President of the Crown Heights North Association, Gail [Branch] Mohammed, met with the new President of the Crow Hill Association. He was not aware of their plans for designation, so we had the survey—because we met with them when they were working on it so I gave it to them. So he was going to review it, go over it with his board members and we are supposed to be meeting so that we can see if they want to proceed with that. Our position was we didn’t care who worked on the landmark. If they want to do it, fine. If they need us to help with it, we’ll do it. But the goal is to get it done, so we just have to schedule that meeting. But they have been a little quiet about it because of the change in leadership. Q: Well, if you don’t know specifically I was just wondering. Q: It just struck me that those happened in the neighborhoods you mentioned as being kind of left out of public records and historical records, including this one. And of course people of color, African Americans, Caribbean Americans have had an impact on history, and have been interested in preserving, and owning, and being involved in their communities. So I guess what I was going at with that question is, how did you see these things? I mean if they weren’t in the papers and publications, were they on the front stoop? Where did they take place, how did people talk about them, how did these things grow? Brown-Puryear: Just the front stoop. [Laughter] That was it. You hit the nail on the head. It’s the front stoop. That’s just a thing that we do here you sit on the steps. Everybody, you know your neighbors. You know, me growing up on Sterling Place between New York and Nostrand, you know, as a kid my mother worked, my father worked. After school we would be outside playing but there was always elders who were outside, like Mrs. Martin, and if we were doing something that we weren’t supposed to be doing we would get reprimanded by her. So it was really the saying, the African proverb, it takes a village to raise a child, it’s true because in our communities that’s how it was. Everybody knew everybody. Everyone spoke to everybody. Everyone knew each other’s children and they watched out for one another. And so I think the reason why it took a while for Crown Heights is because we had other issues we were dealing with. In the ‘80s, Nostrand Avenue was rampant with crime and drugs. There were a lot of dealers along Nostrand Avenue. So during that time I was involved with our Block Association because a lot of times, the drug dealers would get into fights and arguments over territory and then they would end up shooting at each other and running down Sterling Place, which was a residential block. And so it was always problematic for those of us who lived closer to Nostrand Avenue. And so I was involved with my Block Association and we met constantly with Community Board 8 and with the 77th Precinct. We had a lot of meetings, and we had block watches. We had started that program. And so I’ve always been involved in my community, because my belief is I’m not going to sit around and complain about something, let’s do something about it, we all live here together. And so from that it just transitioned on to other things, cleaning up. We would have block cleanups and things like that. But with the preservation aspect, a lot of people—there was just something that just wasn’t on their minds because it was really trying to live day-by-day, make sure you can keep your home, you know, you have children that you’re raising. So that was kind of like, mm, no. And even when we did come together as an organization our best approach was to inform so that people wouldn’t think, “Oh, they’re going to tell me what I can’t do in my house.” So there was a time, there was a lot of handholding and taking the time to really inform people, not sort of shove it down their throats. The other reason, too, why a lot of these houses remain intact is because people didn’t have money to fix them up. People didn’t have money to do crazy things on the outside, you know brick facing, put aluminum siding, paint it all kind of funky colors, people didn’t have the money to do it. So that was a blessing in disguise. A lot of the houses are intact on the exterior as well as the interior, as you see in Debbie’s home here, where they didn’t rip out moldings and stuff like that. A lot of the houses had stuff painted over it like in my house, but at least it was still there. All I had to do was strip it. So there were things that were particular to our communities, and particularly this large vast amount of brownstones being so intact is that people just didn’t have the money to make those kinds of renovations and do all that kind of stuff that people today are doing. I find that younger people or newer people coming in they like the house but now they want to rip out everything, and it drives me crazy. That’s another story [laughs], but that’s why you have such a vast inventory of intact brownstones today. Young: Just piggybacking on what Denise said, not growing up again in a brownstone community, but that sense of family. That sense of, it didn’t matter whether it was your child or not, you took care of them, and you knew not to do anything in front of Mrs. Cooper, because Mrs. Cooper was not only going to get you herself but she was going to tell your parents. So there’s that sense of community throughout. And since we’re talking about Brooklyn I will stay with Brooklyn, but I’m sure it’s throughout the world, but that’s how African Americans we raise one another, we raise families. That’s one thing. Another thing that Denise and I have talked about and we experienced—and I don’t know if you remember this—that on this particular block there was a Block Association. Young: But it was an older group and, you know, not into cell phones, not into internet, not into any of that. We recognized that they were very, very important to the community, but where Denise was taking us was not where they were going to go, for different reasons, and none of it negative just that’s where they were. So we did go to some of those meetings but we knew that if this was going to happen we were going to have to put the energy behind it. And we didn’t have people on the block that was opposed to it, and they just kind of let us run with it and we did it. You know, we took the bull by the horns. The other thing is talking about the community. Now, I’m on the Community Board, Community 8 Community Board. You know, though western side of the community and Prospect Heights in particular is a little different than the eastern side, which is us, we’re more east, but the issue about homeowners and preservation is rampant throughout the community. When people come before us on the Housing Committee and want to do things to their home, you know particularly the exterior, we’re not watchdogs in the negative sense but watchdogs in terms of making sure that we’re helping to preserve the character of this community, and people are pretty much into it. Some people want to do some strange things. Young: But thankfully for the Landmark Preservation there are some things that they are not able to do and we appreciate that, because we’re all for growth and development but we also want to maintain the character of our community. That’s very, very important. Q: Absolutely. So I want to talk about the front stoop moment that you two had. [Laughter] It’s special. I mean you didn’t get the neighbor on the other side. So you [Deborah] give her a lot of credit for dragging you into this but, I mean, you [Denise] were here since the ‘80s and it wasn’t until you [Deborah] showed up. So it’s something about the two of you. It’s something about those conversations. So if you can just walk me through that, meeting each other, how did you find a mutual interest? Brown-Puryear: Well, I’ll start and then you can just interject at any time [laughter]. Young: Okay. All right [laughs]. Brown-Puryear: But I’m always—I have a sense about people. I’ve been in real estate, also, for a long time and one of the women who was my mentor, who was going on—because my mother died young. She was forty-six at the time, I was just in my twenties. Then right after that I met this woman who I used to see running back and forth going to these apartment buildings, across from the apartment building where I lived at the time. This was like 1983, ‘84. And I went over and introduced myself to her. I said, “Hi.” [Laugh] And I’m not talking about Deborah but I’m leading up to how this came about. And I said to her, “Hi. My name is Denise.” I said, “Do you own this building?” And she looked at me kind of strange like, why is this young woman asking me this question [laughs]. And then I said, “No, no, no, I’m asking because I own this building over here.” So she’s looking at me, I’m twenty-five at the time I own this big apartment building. And she said, “Yes. Yeah, I do.” I said, “Oh, you own that one over there, too.” So she became my second mom literally. She owned buildings, she was in real estate and I was just drawn to her and I just stepped down and I just introduced myself. Then we had a long-term relationship until she passed in 2001. Now, she passed in 2001. Debbie moves here in 2001. So I’ve had this 1978 survey that was started and nothing ever happened after that and I had started looking at it before I even bought the house next door. Once I bought the house, which was also 2001, which was May of 2001. I don’t believe in coincidences. I said to myself, you know what, after talking to many people on my old block about trying to pull together to start this thing going a lot of them were like, “Oh, I don’t know.” And I said, “You know what, Denise you need new homeowners. People who are new to the community who will understand and see the passion and kind of get it,” because sometimes when you’re in a place for so long you can’t see the forest from the trees. You can’t see until you step out of it and come back then you’re like, “Oh, wow, I never noticed this before.” So that’s what led me to just come over and introduce myself to Debbie [laughs] and start talking to her. I said, “Well, I want to talk to you about this area should be landmarked.” And I can’t even remember all of it in detail but I do know that I talked to her with great passion because I had a sense about her. We really made a good pair because I had my enthusiasm and energy, and I also have a short attention span [laughs], so Debbie was the balance. We balanced out really well because she knew that I would go out there and talk to people and get them all excited and drawn in. But meanwhile she would give me a task and I’m like, “Okay, I’m going to get to it,” and I forgot. [Laughs] Where she is very pragmatic. [Clears throat] Excuse me, I’ve got to get me some water. You got me laughing now. Okay. I’m sorry. [Clears throat] I’m starting to laugh and, [laughs] the memory because now it’s all flooding back. Q2: I’m enjoying this so much. Q: Me, too. This is wonderful. Brown-Puryear: Now I’m missing—it’s bringing back all these memories! It’s like I’m getting overwhelmed like it’s flooding me [laughs]. Brown-Puryear: But she—oh, god, wait till you start. Brown-Puryear: Oh. But Debbie being very pragmatic—we just were a perfect pair, because she respected my enthusiasm, she got to know my personality, and I got to know hers. So I said, “Well, Debbie, you’re going to be the President.” [Laughter] She said, “me?” But you’re going to be the President because she’s a leader, she knows how to keep things moving along, she’s very focused, and she’s still here [laughs]. Q: So how did it feel to be recruited? Brown-Puryear: I’m humbled by that. Young: —which we’ll mention them a little later before this is over, because there are a group of us who have worked very, very hard to make this happen. Young: It was just the whole things blending. Okay. So it was a blending of life, womanhood, friendship, home, community. It was just all of those things. Brown-Puryear: She’s very good with that. Young: —my education, you know—actually my Masters—I did social work but I wasn’t a clinician. I did community organizing and planning. And I also ran a couple of agencies for the state so I had that structure. And sometimes it didn’t work to my benefit because I was often told, “Well, you’re home now you’re not on the job. This is not your job, you’ve got to ease up a little bit.” But that’s a part of who I am. And I think with Denise’s passion and her experience, because she’s a wealth of knowledge about the community. I didn’t have that and I left it. I didn’t need to have it because Denise had it, you know, and then I brought the other stuff to the table. So that is how we built this platform, with the two of us. I wish she would have been the President and then I wouldn’t be the President here how many years later. [Laughter] I’m happy that she spends the bulk of her time in North Carolina, but I miss her tremendously. Brown-Puryear: Yeah, I miss you. Young: And she’s always keeping her hand on the pulse and offering to be a part and do whatever she can do to be of help to us, you know. So it was just a good match. And we’ve recruited some wonderful people, like Suzanne Spellen, we have Gail Mohammed, we have Ethel Tyus, who has been here for a while. She’s our legal counsel. We have the Nevers who lived on this block, Harry and Michelle Nevers. They were part of the original board members. We have Valerie Bowers. She’s out there but she had to take a little break from the association. And Annette Kavanaugh. Who else did we have the board that’s not with us? Connie, I don’t remember Connie’s last name. It may come to me. Brown-Puryear: I don’t remember her last name. Young: But there have been a number of people. Then we’ve had people who support us, our Community Board in particular. Brown-Puryear: Yes, they have been very supportive. Young: —we started with Alvin and Latisha James. We had a reception in this house and everybody was here. We had the then Commissioner of Landmark Preservation, Mr. Tierney. We did things and they came out. Brown-Puryear: Came to it, yes. Young: When we asked for them, whatever we needed to do, they came and they were here. So without the support our elected officials—and I cannot forget Karim Carmara either, because he was one who helped us writing letters, giving us some funding, because we are a not-for-profit organization. We are all volunteers. We have no paid staff. Young: —it becomes about a paycheck. But mostly everyone on the board has a passion about their community. Some of them grew up here and not other places like me. So there was a commitment and a nice energy we have going on. Q: So the Crown Heights North Association was founded in that year, I mean by the end of 2001 you had it, right? Young: Well, I don’t know that we had it. We had the idea. Okay. I think we really got organized in 2002 because we had to get incorporated. Young: We had to have a boilerplate of what to do. I mean we had the thoughts and stuff, but we needed to pull in people. I think that’s how we got to—I know Denise knew of them but we brought in Historic District Council. Young: Another one who we have to give many kudos to is Simeon Bankoff. Young: I mean the handholding, the direction, the support was awesome. I mean whenever we called them they were here. Young: So they helped us formulate and stay on track with where we needed to go. We knew what we needed to do but sometimes it gets a little scattered particularly if you are not in it the way you should be in it. But they were able to help us pull it together and say, “Yeah, that’s good. So this is how you take that and move it here.” So they were a tremendous help to this day. Q: So I just have to imagine—I mean sometimes people come to the Archive Project because, as I said, they’re trying to start something themselves or they have an idea but don’t know what to do. So imagine you never heard of the Historic District Council, I mean, like how did you—you knew them already—how did you first get in touch with them? What would they do? What would you say to somebody who was just encountering this interview about them and that first connection? Young: Well, I—you know we have someone who has reached out to us from over on, I call it the south side. I have to say this. I didn’t know there was a north side and a south side of Crown Heights. I lived on Lefferts Avenue, which is on the south side for quite a few years. I didn’t know until Denise told me this was North Crown Heights [laughs], I didn’t know there was a difference. Brown-Puryear: Yeah, the dividing line is Eastern Parkway. Young: The line, right, is Eastern Parkway. But someone, a group on the south side and Community Board 9, are now trying to get themselves organized and they’ve asked to meet with us, so we’re getting ready to set that up. So that ties in with your question. One of the things that I would suggest to them—but they’ve already done it because they are having a meeting and they have Historic District Council coming—but sitting down with people, as we have done over the years, “Well, what do you think we should do?” I always mention Historic District Council now that I know what their work is and I also mention your elected officials, because you need them both in your community. Brown-Puryear: You need them both. Yes. Young: You need to have that support. And then you need to have a supportive community and you need to educate. Denise mentioned it, one of the things we were very clear about when we were forming ourselves was that we weren’t trying to shove preservation down people’s throats. What we wanted to do was educate them, because we knew we were going to have naysayers. We knew people were going to say, “I don’t want you telling me what to do with our homes, there are too many restrictions, it becomes too costly.” But we stayed true to the course with everything was about education, and we did a lot of educating. Young: We had Historic District Council come out numerous times, Landmark Preservation came out numerous times just to meet with the community members so that we could provide—we handed out literature, whatever was needed. Another passion was to make sure that people were well informed as we ventured on this journey. Brown-Puryear: And I just want to add, too, that with that educating we also provided avenues of assistance to property owners who at the time they’d been going through some financial difficulty, because that was during that time also when there was a lot of predatory lending going on. I have had seniors, one or two, contact me directly, or they would contact Debbie and Debbie would refer them to me if they had a situation. Then I would refer them to let’s say like Neighborhood Housing Services or an organization that had the predatory lending counseling in place. So we were acting as an educational resource and force for the homeowners. So it wasn’t just the preservation, because the love that I have for the community, the love and passion we both began to share, for the community was first and foremost. Young: So I’m glad that Denise said that because it wasn’t just those agencies I mentioned. It was the Landmark Conservancy, the Neighborhood Housing Services, I mean, Con Ed, the Fire Department, anyone critical to you living in, not only a home, but an apartment as well, because we didn’t want to leave anyone out. All of the people that we had come in was about sustaining yourself in your community. Young: So we tried to cascade it out to be totally representative of what we thought would be helpful to the people who lived in this community. Q: —that grew out of this larger effort. So talk to me about the importance of that partnership, not just for reaching people, which is how we got into this, but economic development, community development and historic preservation. How do those together? Young: Okay, let me think. Could you ask that one more time for me? Q: —so it comes out [laughs] a little strange. But, as you were talking it made me realize that I’m very much on this preservation track because that’s the organization I’m coming from. But these things don’t have separate genealogies, they grow out of everything you were doing for community development on your block and all these things. So how does economic development, and development of a community, and a culture, and a history all play a role together? Young: I’m going to take a stab at this. As we travelled this journey, we talked about the business, the Nostrand Avenue Corridor, okay. We knew with what was going on the direction that the community seemed to be going in not to minimize the businesses that were there but also to look to what other services we needed, or [were] interested in having come in. And we had a board member, whose name I forgot to mention Ray Todd. Young: Ray Todd who was a board member who did some work on the Nostrand Avenue corridor and looked at businesses. And we started asking our neighbors, people who would come out to our meetings, “What would you like to see in the community? What kind of services do you think are missing?” I mean we’re not there yet but that was one of the things we had begun to work on. More recently, we tried to reach out with the Merchants Association. Young: We started meeting with them and trying to get them organized. Not that we as an association wanted to take that on as work, but we were more than willing to be a partner with them. So we got them involved in some of our activities. For example, as minor as it was, the holiday decorating contest. We have been doing that for years so we included the merchants, and some of them participated and decorated their stores. So little things like that. I mean we need to get back to that because we were not able to get them organized to the degree that we wanted, because people get busy and other things happen. But in terms of the economics of the community, that’s one of the things that we see to date as a need. Again, we have a lot of services on Nostrand Avenue, we have new businesses coming in, but we are still missing some things here. A project that’s coming, I don’t know if you’re aware of it, the Kingston Lounge that has a lot of history. Brown-Puryear: Yes. I did a photographic survey—I do amateur photographer, and I did a whole photographic series on it. Brown-Puryear: —retro lighting and everything. And then the history on it as a premier jazz place. So, yes, I just read that that was sold. Young: Right, because it’s being restored and they’re bringing some jazz back and music. It’s right here on Kingston Ave.
Young: Yeah, I think that’s the plan. Brown-Puryear: Oh, thank god! Oh, I’m so excited! Young: So they came to the Community Board and everything. So things like that that we do have an interest in. I hope that answered part of the question that you were asking about. Brown-Puryear: And I just want to add to that that I had a small boutique real estate company. I left corporate America and started that in 1994 out of a brownstone that my brother and I had on Sterling between New York and Nostrand. He’s still there [laughs]. And it was on the parlor floor like this and that was during the ‘90s. I used to just advertise brownstone rentals and brownstones and this was before all the big realtors started having their eyes on Brooklyn. And it was more or less as a service to the community. So I got to know a lot of the business owners and one or two long time realtors are still left, going back to the ‘60s, who originally sold my grandmother her house. Mr. Green of Superb Realty on Nostrand Avenue. He’s still there! [Laughs] He’s been there for decades. But anyway, because I used to advertise in this publication, what began to happen is that I started getting calls from realtors from like Brooklyn Heights. And I remember one time that this realtor—I can’t remember the name of the company—and another man they came and they wanted me to ride with them and go on a tour of Bed-Stuy, because at that time everyone was focused on Bed-Stuy. And he said, “Well, what do you think about—?” But their whole thing, they were looking at it from the point of view as investors and they were looking. I also used to deal with some investors out of Queens who were buying up brownstones that they were getting cheap in Bed-Stuy and renovating them and re-selling them. And so that trend was starting in the ‘90s. That also began to fuel my concern for this neighborhood, because I knew sooner or later that that trend will come over here and if there are no protections they can just go in and do as they want. Now, fast-forward to today, when I was driving around and seeing how stuff is just torn down, blocks of it. Tight there on Bedford Avenue, that used to be Bedford and Lincoln, that beautiful tall building, it was a big one, it used to be a movie theater. See there used to be movie theaters in this area. There was the Cameo Movie Theater, which is that building on Eastern Parkway and Nostrand Avenue. Then there was the Savoy Theater, which was on Bedford Avenue. Well, that building is gone now so that was recently torn down to make way for these huge luxury apartments that a lot of regular residents won’t be able to afford to live in [laughs]. So that’s a concern to me right today as we sit here and speak, because I do keep my hand on the pulse of what’s going on. So I’m glad that we have gotten the protections and the designations that we have gotten for this area because that will help to keep things at bay, even though there are some changes now that the City Planning Department are talking about with zoning, where they’re talking about change. I just read that recently. Allowing for the air rights and changing the zoning heights, and that’s not a good thing. Brown-Puryear: We need to advocate on that [laughs], because that means that someone can apply, even in a historic district, to add additions and increase and go up. Even if they have a setback that will still take away from the character of the block because these houses were designed as a total continuous visual impact when you look down the streetscape. That was the intention of the architectural design. You will see where some buildings the facades will have a ABC pattern, ABC, and some will have—like groups will have the same kind of pattern, or they’ll have a ABAB pattern. It was intentional so that when you look at that street you just saw the beauty of that particular street and the signature of that architect. Q: Going through the years of some of the things that you preserved. In 2006, there was this emergency with the Elkin’s house that was about to be broken down. Q: I was just wondering if you could say a little bit about—because you didn’t have anything—that wasn’t until 2007 that you got the district. Q: So how did you move through with this emergency to save the Elkin’s house? Young: Well, it’s interesting because a group of people who lived on that block who were naysayers about landmark preservation—I remember us being at a hearing and them talking about the unethical things that we were doing about their property and that we didn’t have the right to do this and that. Young: And they didn’t want anyone telling them what to do. Then the issue came up about the Elkin’s house, and they got it, because then they started calling. They didn’t want this to happen. Landmark Preservation Commission, we contacted them, and they moved in and they did a free stand-alone designation. That’s how we protected that. That’s how that happened. And those same folks who were naysayers have switched gears and now understand and have become strong supporters of historic preservation. Q: So that was a turning point for this effort a little bit. Young: Yeah, it really was. It really was. Q: Can you compare, you know, some of the things you were hearing from the community before that moment to some of the things you were hearing afterwards? Young: Well, yes, that they didn’t want people telling them what to do with their houses. It was going to increase the cost of homes in the community. That they were not going to be able to afford to maintain their homes because with your landmark then you have to do certain things, and they could not afford to do those things. But the most significant thing that came up most often, they didn’t want anyone to tell them what to do with their homes. And then now, again, understanding how, with what happened to the Elkin’s house—and we talk about that from time to time because it has come up—that people understand. And we have more individuals that are in support of designation than are opposed to it. Young: So that’s been the switch over. Brown-Puryear: That was a key game changer because it was like now it’s right in their own backyard. And now they’re screaming like, “Oh, no!” like the light bulb went off. And it’s like, “Oh, right across—” and then someone will build this monstrous thing. That happened on St. Mark’s. Along all those stately homes between Brooklyn and Kingston there was a vacant lot, and this was before we got designated. [Clears throat] And that vacant, lot a developer came and stuck in, just squeezed in this little red brick home. Brown-Puryear: And it stands out like a sore thumb and it just changes the whole streetscape. So, you know, the people on that block were upset but we weren’t nowhere near designation at that time. So when this thing happened with the Elkin’s house, like Debbie said, it was right in their own backyard, and that was a turning point because they got it. Q: I have to wonder, were there any blowback from the developers? I mean because I read that they were driving the bulldozers to the house [laughs], and you basically had to lie down in front of them. Q: I mean, I’m dramatizing this, but that’s the sense that I got. So what was the pushback there? What happened afterwards? Young: Well, I don’t know that they—what happened is we believe they let it deteriorate. Young: Yes, intentionally. I mean we went in there—and as a matter of fact, we started this campaign where we were trying to get it. We didn’t have any money but we were going to everybody, “Is there a way that we could get the bank to give it to us? Could you donate it, charitable, whatever.” But even with the support of our elected officials we could not get them to give us the building. We got inside of it, it wasn’t protected, there was a hole in the roof, the water was going in. Oh, it was just terrible. So that’s what they did. That was their pushback they just left it. “You don’t want us to do what we want to do so we’re going to let it be destroyed.” But fortunately someone eventually bought it, it wasn’t us, and they’re pretty much bringing it back to where it should be. Q: Great. I’m glad that story has a happy ending. Young: Yeah, it does [laughs]. Q: So the following year, 2007, you got over 400 buildings within this district. Q: Walk me through that process a little bit. I know the education, the outreach was huge, but what kind of volunteer efforts did you need to get there, tell me about that? Brown-Puryear: Let me just add in. One of the things I wanted to speak to around that was the photographic survey. Young: Well, shorter now what they would have done it, because—[laughs]. Brown-Puryear: Right. And they were amazed when they got that whole package. So we were hands on every step of the way. “What do you need us to do? We’ll get in there and do it.” So people just rose to the occasion. The volunteerism was—because there was an enthusiasm and an excitement. Then the next step was the house tour, which is something I always felt that we were worthy of having. I went to Debbie, “Debbie, we need to have one.” So we formed a house tour committee. And Debbie said, “Okay, well, you got that.” [Laughter] So I was the initial chairperson of the house tour committee and Suzanne Spellen was the co-chair and that’s how that began. And so, again, to sit in the homes we amassed volunteers. We used the Community Board. People just came out. People were just willing to support the cause, because it was taking—it was more or less like now we had pride in our neighborhood. Gone are the days of the gunfire and coming in and being in by a certain time, we can take pride in our community. And that was very important that people now were taking pride—not that there wasn’t any, but it went to a different level, you know, like, “Look at where we live.” You know you could walk around with your chest poked out or like a peacock like I live in a beautiful jewel right here in the crown. So it amassed volunteers. People just came, you know. Young: Now speaking also to that and the question you had asked earlier, the other thing that we did—you know, Denise talked about those hands on kind of projects—but working with our elected officials. They all said, “Yes, we will do it,” but what would happen is that we had to do it. You know it meant like, “Okay, what do you want me to do?” If it was a letter, had to write the letter. If it was making some calls, I had the make the calls. They would follow-up. So we divvied that up. Denise did the photographer, I would do the letters and then we would make sure that whatever needed to get done, whoever had the time and could do it, would take it on. So there was a lot of things that we did with the Landmark Preservation, with the Community, with our elected officials that we just took the bull by the horns and just took care of it, to make it happen. Q: That reminds me, I read somewhere that there was like a resource shortage or something with the LPC and you guys had to step up and help them out. Young: That’s what Denise was just speaking to. Brown-Puryear: That’s what we did. Yeah. Brown-Puryear: I think they were shocked [laughs]. Young: You think that’s what it was? Okay [laughs]. Brown-Puryear: Yeah. I think they were shocked and they were like, well. Young: You know that we were willing to take this on, and we did. I mean I think even though it took a long time, I think the fact that the survey was done and they needed the pictures—the hardest part of the job was done with the survey. It just needed to be updated. Young: So that’s what we did. Brown-Puryear: Because the original survey never even got that far. It was just a document. It was just a couple of pages that said, “Okay.” Like they did an initial fact finding like okay this area consists of this, this and that, and these are the boundaries and its worthy and it had little bit of architectural descriptions and stuff of the neighborhood and that was it. So that’s what we started with, which was really we were starting from scratch. Q: Oh my goodness. So I know I’m skipping ahead quite a lot just for time. Q: You’ve got the second phase done and the third phase just this past March. Q: Which means you’ve been working on it for over a decade. Q: Okay. So you’ve been working on this for over a decade. Q: What was it that you would say you were doing very differently these days than you were at the beginning? How have you seen the work grow and what have you learned? Young: Okay. We’ve learned the importance of volunteers and people getting involved. We have challenges like a lot of community organizations. People have ideas but people have jobs too. Okay. So one of our biggest struggles, and we’ve worked to try to address is to bring in new people, new energy. I believe that people take things as far as they can, and sometimes you can’t see the forest from the trees. I think we started a wonderful process but we struggle to bring in new people, new ideas. Because we are concerned about the association continuing, right. So that’s one thing. The other thing is that as an association while our core mission was about preservation that’s not the only thing that’s important. We want to make sure that we continue to meet the needs of our community or try to bring in resources that can meet the needs of our community. So we’ve branched out. And one year we did—every year we do a town hall meeting in April. So one year when we started struggling and saying, “Okay, we’ve got these things going on with the preservation, what now, what do we do now?” So that’s when we tried to partner with the merchants on the block and we tried to do other things in the community. We partnered with Brower Park, because we have a group that’s doing Friends of Brower Park. So we’ve partnered with them and we’re trying to do more outreach with other grassroots organizations, because it’s a whole. It’s just not just one little small Crown Heights North area, it’s the whole of this community. So those are some of the things that we are challenged with, that we are trying to open up our eyes and see how else can we be of value to the community. And that’s a struggle and it’s a learning process. We’ve brought in, again, HDC who sat with us and tried to give us ideas about how to do it, but I can’t negate how difficult it is because we’re having trouble getting people to get involved and do the work. Everybody will say we’ll help but when it comes time to getting stuff done there just isn’t—people don’t have the time. There are few of us that are retired, a few of us, but some of us, most of us do work full-time jobs. Young: So that’s where we are today. Q: What is your impression of what you guys have learned from the beginning in 2001 to 2015? Brown-Puryear: Hard work pays off. [laughs]. And you have to just persevere. You have to persevere and you’re constantly learning all the time. Constantly learning all the time. And that’s basically it. And things will continue to evolve, things will continue to grow, people will continue to come and go. But if you lay a strong, solid foundation then it can last. Young: Yeah. I think we also learned that people really, really are invested in their communities. Young: I mean that’s been a very important piece and it’s demonstrated by people coming out to our meetings. I mean we have a core group of followers, they always come to the meetings. But we try to elicit from them, “What do you want us to bring to you?” At the Community Board Meeting, the Community Board has picked up. They’ll put things in the newspaper, you know, about what’s happening with Crown Heights North Association and different events that we’re doing. So we’re always looking to the community to help us see where to go next. But we have a group of strong supporters in this community, which has been very helpful. Q: I also need to ask about just the physical landscape of this area. As you go through these phases, you broaden out and out and out what’s protected, what would the area look like if this hadn’t happened? If none of this historic preservation had taken place, how would the character be changed? Young: Well, I think Denise already mentioned it when she talked about that little red building that was stuck in the middle of those limestones [laughs] on St. Marks. Then there was another glass building that was stuck into a house on St. John’s Place. Young: And then remember the house that was on Bourbon Street, it was a old—the red one with the yellow pillars? Young: Oh, it was such a beautiful structure. Young: I remember when I was looking, my husband and I were looking, we tried to get into that house because it was just so awesome to see if they wanted to sell it. They tore it down. Young: You know. So, I mean, if we had not taken measures to protect the community I think we would have seen more destruction. Young: I think we might have seen more people building driveways in front of their homes. I mean I know people have their personal preference, of which they are entitled to, but some of those things do take away from the character of the community. Brown-Puryear: And also this community was not—these houses were not designed to have driveways put in front of them. My feeling has always been if you desire a driveway than there’s other neighborhoods where you can buy that type of a house with a driveway and possibly a garage. Just to add to Debbie, the other thing, if none of this landmarking had taken place—I just recently read where a Russian billionaire bought several townhomes in Manhattan around in the 70s, and I guess it wasn’t landmarked, and he bought three of them for about—I don’t know I think four of them for $70 million rather, tore them down to build one humongous mansion for himself. So that speaks volumes right there and this is in Manhattan on the east 70s. Evidently they must not have had that area—that block was not landmarked, and there are some beautiful townhomes there, historic townhomes, so. Q: Have you seen interest in historic preservation grow over the time that you’ve been involved? Who is getting involved now that wasn’t before, and how has the landscaped changed? A: Well, you know, it’s interesting you ask that because that question has come up, and we have been told that because of what we have done more people have gotten interested in preserving their neighborhoods. Now I don’t believe it’s because of what we’ve done, I think people see the writing on the wall. But if they want to attribute it to what we did then we’ll take it. But like I mentioned to you earlier, from Community Board 9, there is a group that’s saying this is real late for us to be starting but we need to get started. And like Bed-Stuy, for example, who were way before us because they were part of that initial survey looking to expand. So you have a lot of communities that want to expand what’s already designated. I think that our timeliness when we started this process, and that coinciding with what was going on in the communities, it just all happened to come and people started looking and paying attention, we need to protect what we have. Q: Do you think it’s easier now or more difficult as you go with this? Young: I think it’s more difficult. We think that there’s a misunderstanding, and maybe it’s our misunderstanding, that you can’t have preservation and affordable housing. Okay. We believe you can have both. Young: Okay. So, I mean, we drive around, and maybe not right in this immediate area, but you could go around and see empty buildings that are vacant. Why not put money into restoring those and let people live? Why are people being moved out of their homes for these new what they call affordable houses, that people can’t afford to live in that’s from the community? So I don’t think it’s easy. And then you have a different group of elected officials, the elected officials that were in office when we started and not the elected officials now. And everybody is entitled to their opinions in how they want to see the communities, the boroughs grow. But our sense is that they may not be as into preserving what we have because we feel there is a misunderstanding about being able to do both, and we really believe we could do both. So the direction of the current elected officials might be going in a little different direction, so that makes it harder. So where we were able to call Alvin or Tish James—and not to say we can’t call [Robert E.] Cornegy and Laurie Crumbo, who are our council members, because we have called upon them and they have supported us. So I’m not speaking about that but I’m just talking about on the larger scale the whole dynamics of the boroughs is going in a little different direction. Brown-Puryear: I just want to add I think that if our new elected officials just take a look at what is happening and just look at the pattern of what is happening, was starting over ten, fifteen maybe twenty years ago, it hasn’t just ramped up. It’s been a steady progression of investors and developers moving further and further into Brooklyn because they are looking for what they can buy reasonable and either convert, tear down, and build super structures that are not necessarily for community residents but for people coming from outside the borough. There are a lot of people fleeing from Manhattan now coming to Brooklyn, because Brooklyn—people know about Brooklyn all over this country. Brown-Puryear: Tt can be a blessing or a curse or both. People know about Brooklyn. Brooklyn is really hot right now. What they see is there is a huge creative environment here, just a lot of things. Brooklyn is just touted everywhere. So it’s a double-edged sword, it’s a double-edge sword. There are a lot of factors going on. Every since the Barclay Center was completed—you know, it’s just a huge magnet. When I’m travelling in the South everyone knows about Brooklyn, you know, it’s just amazing, it’s amazing [laughs]. Q: As I’m learning more about historic preservation from these conversations, and through this work, I came across a term “historical resource” phrased kind of like a natural resource, something that you can draw on and that fuels modern society. So I would love to hear what you guys think of the term, of this area as a historical resource, and what it means to have these spaces preserved, and how that feeds into the present day, and how that can be a resource for people? Young: I don’t know how to answer that [laughter]. Young: I just think about remembering shortly after I moved here, and with her passion and my kind of getting [laughs], it walking around and really understanding from block to block the beauty. Knowing—well, learning that people who have lived—like Shirley Chisholm lived right over here on Hampton Place. Young: —all of the people that were here who were critical to the growth of these communities. So there’s a lot of history here and history is education, and knowledge, and it’s a resource. People need to know about what was, and also it helps to know what it can go back to. And I didn’t live here but I remember going over to Bedford Avenue as a long girl to all of the boutiques. Young: And the shopping that was so awesome that I said, “Wow, we could get back to that. We could do that. That would be a wonderful resource.” I really prefer not to have to go out of my community to get the basic things that I need. So I welcomed the opportunity to be able to walk down to Nostrand Avenue or Kingston Avenue and get a book or to get—or go hear a little jazz on Kingston Avenue or to go have a restaurant where I can sit and have a nice meal. So that’s what I know as an organization we have passion for, but I know personally I would like to not have to get in my car and drive someplace. Brown-Puryear: And my concern I guess maybe along those lines is that with the influx of new residents coming in that there will not be a separating but a cohesive mixing, in terms of coming into a neighborhood that has that foundation of community awareness where neighbors greet each other, speak to other, acknowledging each other as you pass each other on the street. I notice that that does not happen with the new incoming folks. It just doesn’t. It’s like they’re in their own world. And that’s all well and fine, but you’re coming into an established community and established neighborhood. How can that be reached? How can that—maybe reaching out to that new influx and bringing them in to see what’s going on with the different organizations or having something that would be like an orientation to the neighborhood. That’s something that I think would be important to help cohesively make that transition. There are some people who live here that feel a certain way. And it has nothing to do with the person’s ethnic background, it has to do with how they’re responded to when you’re passing each other on the sidewalk. If someone walks by and you’re nodding and acknowledging and you don’t get anything back a wall goes on. For people who have been here, whether your family is from the South or from the Caribbean, that’s part of our culture. We acknowledge one another. We acknowledge people when you pass on the street, “Oh, hi,” or just a shake or a nod of your head. But a lot of times that doesn’t happen with the new influx of people. So I think that sometimes can cause a little uncomfortability, and I think having some kind of orientation or something that that group is reached out to to sort of bring them in and understand. Because there are cultural differences throughout this country wherever you go. There are cultural differences from the north to the south, and from the east and the west, and also from neighborhood to neighborhood. Q: I was going to say, since we’re almost out of time there, is one thing I really do need to bring resolution to, which is this idea that, as you were getting started, racial and ethnic minorities were under-represented. I want to know how you’ve seen that change, or how you’ve seen your work address that problem, and how preserving Crown Heights in particular has, in a way, preserved the contributions of African Americans and Caribbean Americans. Brown-Puryear: Well, I’ll just add one thing and I’ll let Debbie take on the rest. I think the biggest impact was made when we were at the Historic Districts Council meeting and when we all showed up. We were all African American except Ray Todd. Brown-Puryear: At that time. And I saw the expressions on people’s faces, and they were surprised. They were surprised. A lot of things we do in our own communities we do them quietly and silently. There is no press, there is no publicity, no one is coming out to see. Yeah, they’ll come out with a news bite, or sound bite on something tragic. But the positive things, which are plentiful throughout our communities, and always have been, are not highlighted. So that impact just initially was really—that sticks with me as Debbie brought it back up. Do you want to—? Young: I don’t know that it’s as—that there has been significant change. I’m just visualizing in my mind the last Grassroots Award where Suzanne Spellen was one of the honorees, and as I looked around the room it was us, the board members—okay, and we’re a mixed group, which is fine, and we have some wonderful people on our board—and there was the group from Bed-Stuy, Morgan and Claudette, and then there were one or two other people of African American descent. So it’s not out there. But if you come to our Community Board, if you come to our meetings, that’s who’s in the audience. But when you go out on the larger scale you don’t see us represented out there. But it doesn’t mean we are not interested in our communities, we just don’t get out and we’re just not visible. Q: Well, over the course of this interview you mentioned two things that stood out to me. My grandmother was a preservationist and she always said that disaster is a great thing for perseveration, poverty is a great thing for preservation because, as you said, people can’t afford to change things. Q: But another thing that stood out to me that seems specific to Crown Heights, people coming from the South, people coming from in your communities, is the front stoop. Q: That kind of grassroots organizing is pivotal to preservation and to these kinds of things. That seems to be changing in this neighborhood as well. So is there a through-line there, or is that just something I’ve imagined? Young: —that they just can’t squeeze another thing in. Brown-Puryear: Sitting out on the stoop, I know for me was always my way of relaxing. Yes, I have a backyard, but when I lived in my building I sat on the stoop of my building, on the steps, with a glass of wine and talked to everybody who passed by. And that was an opportunity to just speak to people because they would stop and just chat. Now when I’m here, and if I have time, I’ll sit out on the steps sometimes. I’d rather sit on the steps than sit in the back because I see people. And when I go into the next block, like Debbie said, now this block of Sterling is different from the next block. Young: Different than that block. Right. Brown-Puryear: There’s much more activity on the Sterling between New York and Nostrand because there are more kids, people have been there longer. People have been here a long time but this has always been what we called the old folks block [laughs]. There was always a lot of older people here and there was hardly any kids. I grew up on the other block and there was always action going on. There was always people outside, always kids, people on the stoop all the time, so that’s true in the next block. So I think it’s a block-by-block thing also. But for the most part, like Debbie said, people are stressed out, they’re busy, they’ve got a lot of demands on them, and a lot of times, you know, they just want to get home and cook, do what they have to do and get ready for the next day. Q2: Well, the car is not here yet. Q: Oh, great! The last thing I do have to ask is, over the years that you have worked on this and are still working on this you have probably accumulated a lot of records, personal notes, all of these things. Are you archiving them in any way or are you planning to archive them in any way? Brown-Puryear: Oh, that’s a good question. Young: Well, one of the—well, kind of yes. Yes, we are. Okay. We don’t have an office. This is it [laughter]. My house is where everything is. So one of the things the board has agreed—I just bought a file cabinet and we had an Administrative Assistant, and she and I began to try to organize all of our files. So it’s not done yet but it is on the radar and we have started. That’s what happened [laughs]. Brown-Puryear: Oh, good. And I have a lot of pictures, photographs. Brown-Puryear: Yeah, I have a lot of photographs. Q: What are you going to do with those? Q: Well, while we’re waiting for that thing to finish ringing, is there anything that I should have asked you, that we need to talk about before we completely to pack up? Brown-Puryear: Yes, the board members and stuff. Young: I want to make sure that the board members that have really been critical to this whole process, you know, that they get mentioned, because this is not about me and it’s not about Denise. Brown-Puryear: And not about me. Mm-hmm. Brown-Puryear: And the love of our community. Young: —and volunteered their time to try to preserve this community. Q: Well, if there is anybody that you want to mention now, or anybody that you remember at three AM and sit up in a cold sweat [laughs], call me and I can always make an addendum to the transcript, so. Young: But I think we covered everybody. Brown-Puryear: Yeah. If you want to mention them by name, Suzanne Spellen has been a great, great help and, you know, you know all the other names that are current. Q: We got a good list, yeah. Young: Well, I mentioned Suzanne, I mentioned Gail, I remember Greg, the Nevers, Harry and Michelle Nevers. You know who I forgot? Miss Ross. Brown-Puryear: Oh, yes, Miss Ross. Yes. Young: Miss Ross was very, very instrumental. One of our elders who first started with us. Brown-Puryear: Yes, she was very supportive. Young: As a matter of fact her nephew is Roger Green, one of our elected officials. So Miss Ross was a very, very involved person when we first organized. I mentioned elected officials that was so critical to this process and still remain critical to the process and supportive to this day. So I think we’ve got—Michael—I didn’t mention Hal Drellich and Mike Combs. Young: Those are our other two board members. So I think we covered everybody. Q: Well, thank you so much for your time. We covered a lot today. Q: So I really appreciate you. Q: All the energy you gave to sit down and talk with us. Yeah, if there are any last words, now would be the time, but other than that I think we’ll call it a day. Young: Okay. Well, thank you. And if there is anything that you think you need some clarity on or more information on, call Denise [laughter]. Brown-Puryear: And she has my number, so. And I just want to say thank you because Crown Heights is still—it’s in my heart, my spirit, my soul. This a beautiful community, there are beautiful people here and just hard working people, you know, and it deserves to be preserved, truly. And I just thank Debbie, I really do. I thank Debbie. Give me a hug. [Laughter] From the bottom of my heart that she got it when I spoke to her, you know, because I was bursting inside. I was bursting with all this passion for the area, and Debbie got it and together with our board members and elected officials and everyone, each and every one who supported us we were able to do this, because it wasn’t just us it was teamwork. So I just want to say thank you. Q: All right. I’ll turn this off now. Young: commissioner Tierney, from the Landmark Preservation Commission. Q: Do you mind if I turn this back on? Young: Yeah, you can turn it on. He came and he said that he was not able to stay, but he was going to do a little speak to the group, because we asked him to speak to the group. He never left. Young: And I couldn’t believe that. He said from the beginning, he only had a short period of time. We let him speak first. He stayed for the entire meeting. Suzanne had done this clip on Brooklyn, Crown Heights. It was awesome, and we were showing it. He stayed for the whole meeting. Young: Spoke volumes. And I think—and this may be a little self-serving—but I think that they had a particular passion for us, for Crown Heights North. Brown-Puryear: Yeah, I feel that way too. Young: I just felt, over the years of working with them they always entertained our calls. I think that they respected our energy, and what we tried to do for this community. And I’m not saying they didn’t have it for other communities. Brown-Puryear: But it was something different. Young: But it just seemed different. Brown-Puryear: It was a special time. It was really magical the way everything came together, because, like she said, the commissioners, the politicians, everybody would show up. Yeah, they would say, “Oh, we can only stay a few minutes,” but they would stay. It was just magical. It was meant to be. It was the right time. Brown-Puryear: It was the right time, it really was. Young: We got it, so anyway.